Our community has been seven years in the making, but today marks the dawn of a new era. We’ve updated our logo to reflect our community, a shared space for learning and inspiration. While this particular change is mostly symbolic, you can expect many great things in the coming weeks and months as we work to empower innovators such as yourself. Silicon Valley Entrepreneurs will now cover the Bay Area from San Jose to Palo Alto/Mountain View to San Francisco and Berkeley (the East Bay as well). Our intention is to create better cross-pollination between the communities, and pockets of innovation, within the Bay Area. We’ll need venues and local chapter ambassadors in some of these locales, as well as for Bay Area universities. 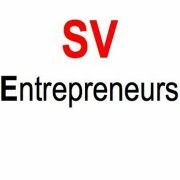 If you’re interested in empowering entrepreneurs in your local community/university/etc, please contact Maggie Redmon from our team: r@sventrepreneurs.net. Please help us to get the word out and share group membership with your friends/colleagues in the Bay Area who are passionate about startups: Invite other Entrepreneurs. Special benefits will be rolled out to SVE members in the coming months, including discounts on services and programs which are beneficial to founders (i.e. complimentary compute hours from Google, code camps, incorporation services, legal advice, accounting/insurance services, etc.). Sign up using our investor application at F50. Attend our Boardroom and private receptions for F50 founders and candidates. Attend a public Pitch and Demo event as a panel judge. Refer qualified founders to our startup application at F50.